It is just not possible to visit Kazan and not visit its Kremlin. Located in the city centre, the entrance is free, though you have to pay the visit fee to the museums inside. Below I’ll explain how to organize the visit from the Kul Sharif Mosque, one of the largest in Europe, to the Cathedral of the Annunciation, a great Orthodox temple. The old Russian cities were not guarded by walls. However, in their centre parts, in which the palace of the nobles were located, the cathedral and other relevant buildings, were surrounded by these defenses. Thus, the word Kremlin refers to the citadel in which these important buildings were located, as well as the walls that surrounded them. In Russia, many Kremlins are still preserved, being the most known the Moscow Kremlin. The Kazan Kremlin, though not as well-known as the Moscow Kremlin, is also romantic and captivating. Unlike other Kremlins, in Kazan the white color is predominant in most of its buildings and temples. 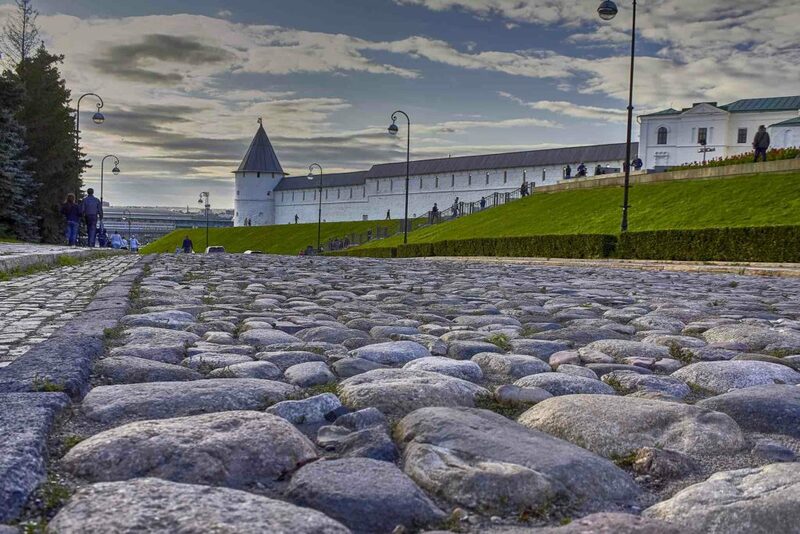 Some of the walls of the Kazan Kremlin, made of white limestone, date back to the 16th and 17th centuries. It was built in the sixteenth century at the request of Ivan the Terrible on the ruins of the old castle of the Khanate of Kazan. In 2000, it was declared a World Heritage Site by Unesco. The Kazan Kremlin is located in the center of the city, strategically at the confluence of the Volga and Kazanka rivers. Within the Kremlin, only 100 meters separate the Kul Sharif Mosque, one of the largest in Europe, and the Cathedral of the Annunciation, a great Orthodox temple. 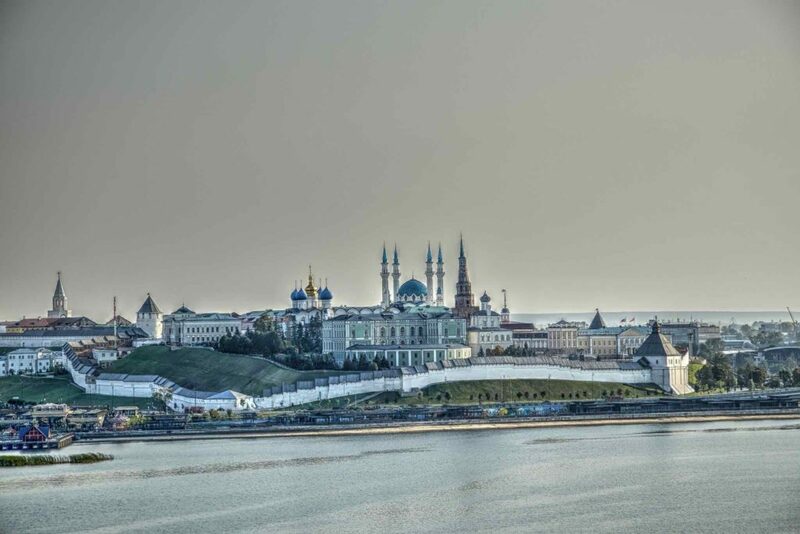 Islam and Christianity coexist in this city, also called the Istanbul of the Volga, a city with which it is entwined. In the Kazan Kremlin there is also the residence of the President of the Republic of Tatarstan, as well as government offices. Below I will explain what you can see in the Kazan Kremlin and how to organize the visit. 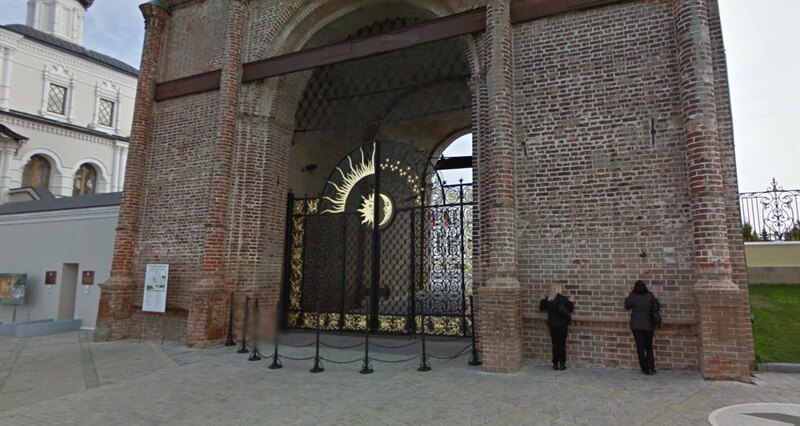 The entrance to the Kazan Kremlin is free and open 24 hours a day, 7 days a week. Inside, the Kul Sharif Mosque and the Cathedral of the Annunciation stand out (they are open to the public from 9:00 a.m. to 7:30 p.m.), as well as the Söyembikä Tower, the most well-known symbol of Kazan. 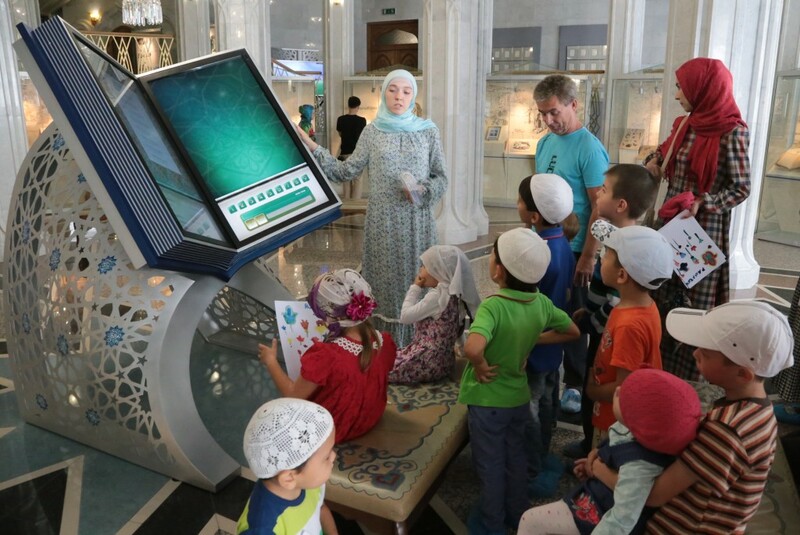 The Museum of Islamic Culture (located inside the Kul Sharif Mosque): 200 rubles. The Kazan-Hermitage Center: 200 rubles. There is also the option of buying a general ticket that costs 700 rubles and it gives you access to all the previous museums. 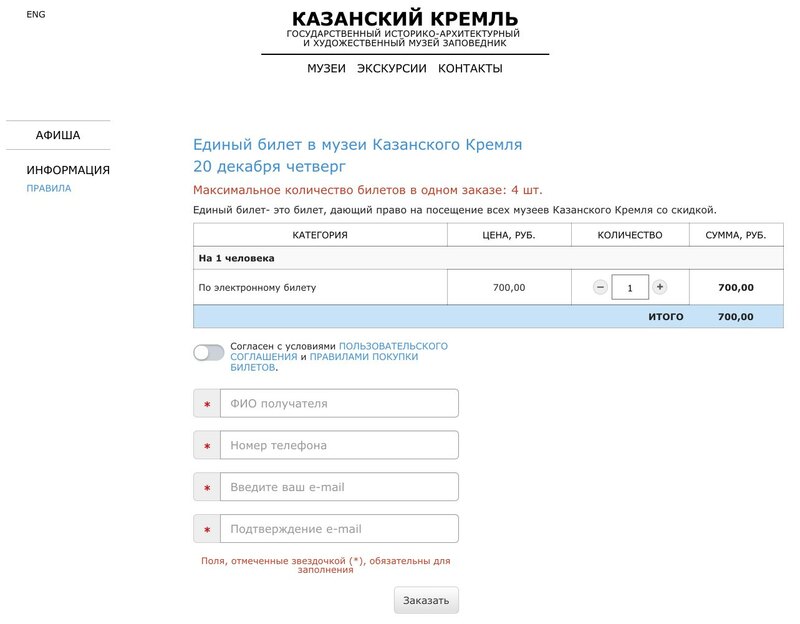 Both general admission and individual tickets to museums can be purchased online in advance on the Kremlin’s website: http://tickets.kazan-kremlin.ru. Perhaps in the summer season it is worth buying them in advance, but the rest of the year, there are usually not many lines. How much time do you need to visit the Kazan Kremlin? Taking a tour of the interior of the Kremlin and visiting the two main temples (the Kul Sharif Mosque and the Cathedral of the Annunciation) can take about 2 hours. However, visiting the rest of buildings and their museums can take at least 4 hours. Where to eat in the Kazan Kremlin? Inside the Kremlin, in the Museum of the Courtyard of the Canyons there is a cafeteria where you can eat, though leaving the Kremlin, in the direction of Bauman Street, you can find a great offer of much better restaurants. The Spasskaya Tower, open every day of the year, 24 hours a day. It is the most famous tower of the nine that remain and serves as the main entrance. Its construction dates from 1556 and measures 46 meters in height. It is the white tower located to the right of the previous plane and that you can see in the lower photo. The Taynitskaya Tower, open from October 1 to April 30, from 8:00 a.m. to 6:00 p.m., and from May 1 to September 30, from 8:00 a.m. to 10:00 p.m. It is the tower located to the left of the previous plane and the one closest to the Kazanka river. The excursion to the Kazan Kremlin can begin from the Kul Sharif mosque, one of the largest in Europe (with a capacity of up to 8,000 speakers). This mosque was burned down completely in the year 1552 by the troops of Ivan the Terrible, and has the name of Imam Kul Sharif, who died along with numerous students when defending the temple. 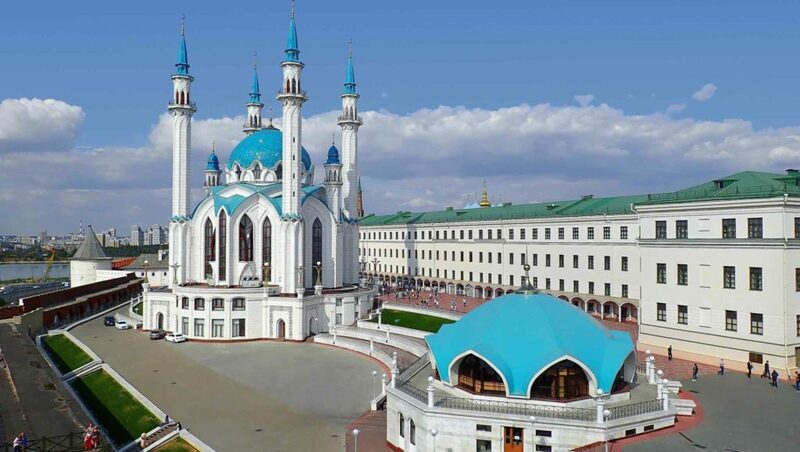 In 1996, the total reconstruction of this mosque began, which was inaugurated on July 24, 2005, being the starting point of the celebrations dedicated to the Millennium of Kazan, a city founded in the year 1005. Several countries, including Saudi Arabia and the United Arab Emirates, contributed to the reconstruction of the mosque, which cost about 400 million dollars. The mosque, both outside and inside, is spectacular and is equipped with a night lighting system that is worth seeing. Today, the main function of the mosque is the divulgation of Islamic culture through its modern museum (located in the basement of the mosque), though during the Muslim celebrations, thousands of people are gathered to pray in it. It also houses a library, a publishing house and the Imam building. 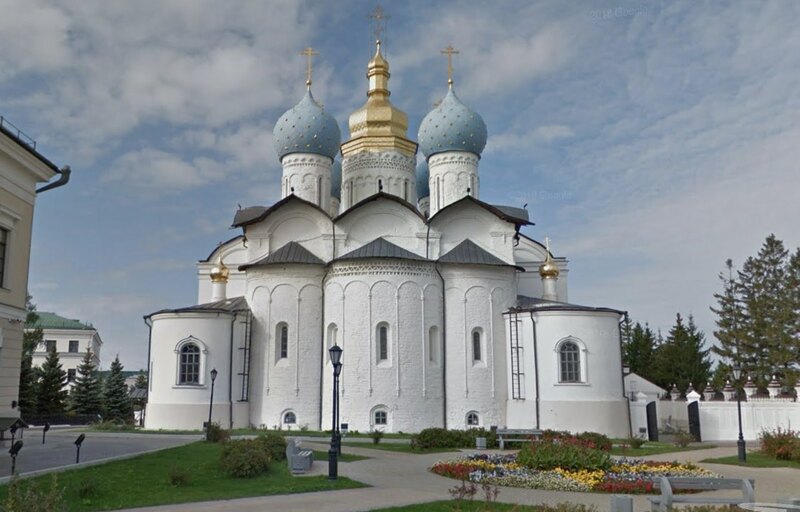 After the siege of Kazan by Ivan the Terrible, the Cathedral of the Annunciation was erected, which was designed by the same architects of St. Basil’s Cathedral in Moscow: Ivan Barma and Postnik Jakovlev. It is the oldest building that is preserved inside the Kremlin. Throughout time, the cathedral has suffered numerous fires, the most serious ones occurred in 1742 and 1842. In September 1918, the Red Army assaulted Kazan with the aim of defeating the Czechoslovak legions. The Kremlin was bombed and thus the five domes of the cathedral were destroyed. It would be necessary to wait until 1973 for reconstruction work to begin. The last of the restorations of this cathedral took place between 1995 and 2005, in which the interior of the building was completely intervened, replacing many icons and building a new iconostasis. Inside, the cathedral now houses a museum displaying more than a hundred objects, works of art and documents on the most important events in the history of the Orthodox Church from the mid-sixteenth century to the present. From the outer square where this cathedral is located, there is a fantastic viewpoint from which you have spectacular views of the city and the Kazanka River. 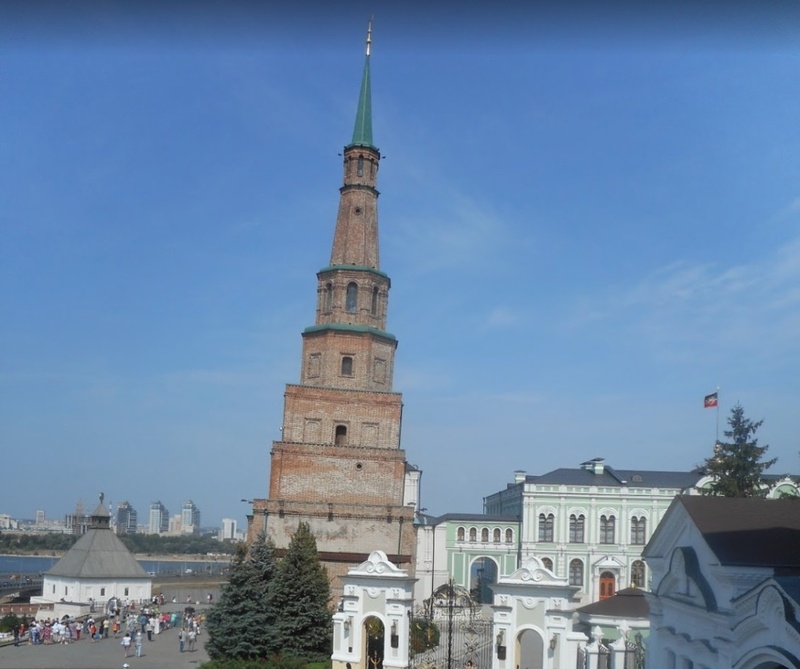 In a small garden, next to the Cathedral of the Annunciation, it is located the monument dedicated to the architects of the Kazan Kremlin, which was inaugurated in 2003. 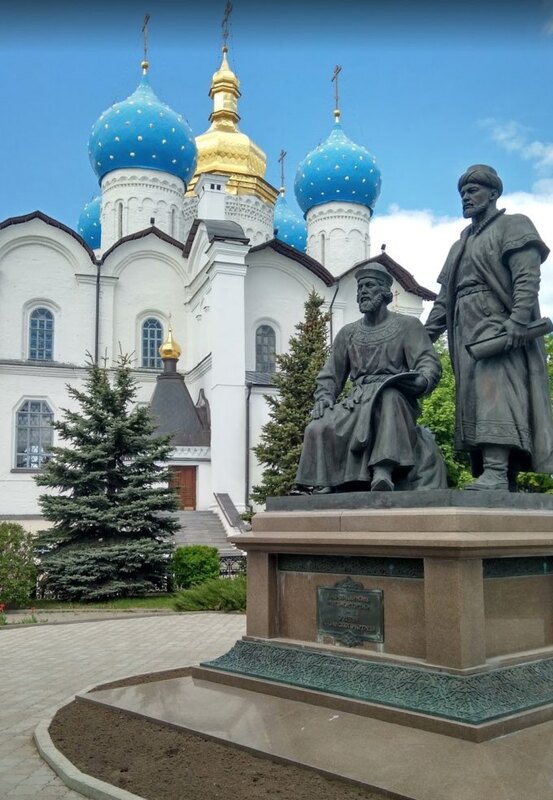 The monument depicts two figures: a seated Russian architect dressed in a medieval costume and holding a plan of the Kremlin and a Tatar architect standing next to him, dressed in the traditional dress of the Kazan Khanate. The Söyembikä Tower, inside the Kremlin, is probably the most well-known symbol of Kazan, such as St. Basil’s Cathedral in Moscow or the Eiffel Tower in Paris. There is a belief that if you touch its walls with your hand and make a wish, it will come true. It is one of the tallest structures in the Kazan Kremlin (58 meters) and is included in the list of the so-called Leaning Towers (the one in Pisa is the most famous). It is estimated that at present it has a deviation 1.98 meters with respect to the vertical. Many researchers date its construction between the seventeenth and eighteenth centuries. At the beginning of the 20th century, the architect Aleksei Shchusev made a replica of the structural style of this tower in the Railway Station of Kazan in Moscow. Below the tower are the remains of the Khan mausoleum, where several Kazan Khans are buried. Museum of Natural History of Tatarstan: about a dozen rooms tell the story of the planets, geology, minerals and the development of life forms on Earth. It contains an interesting exhibition about dinosaurs and the rise of mammals. Museum of the Courtyard of the Canyons: a museum on military objects: weapons, guns, armors, etc. Manezh Exhibition Hall: room with temporary exhibitions on historical, ethnographic projects, as well as modern art exhibitions. 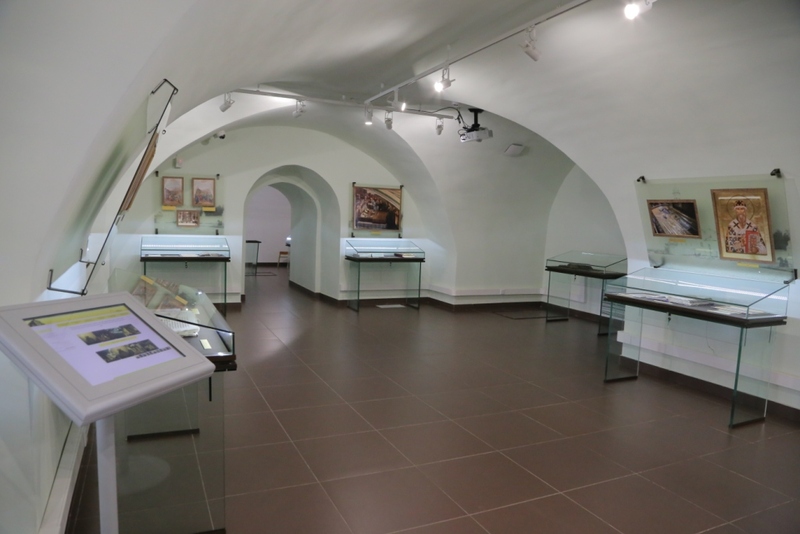 History Museum of the State of Tatarstan: it is located inside a building from 1770, where a valuable collection of archeology is exhibited, as well as jewels, weapons and objects about the history of the Tartar people and their most famous characters. Hermitage-Kazan Center: located inside the old building of the cadet school, the Hermitage-Kazan Center contains first-rate temporary exhibitions, many of them from the Hermitage collection in Saint Petersburg. 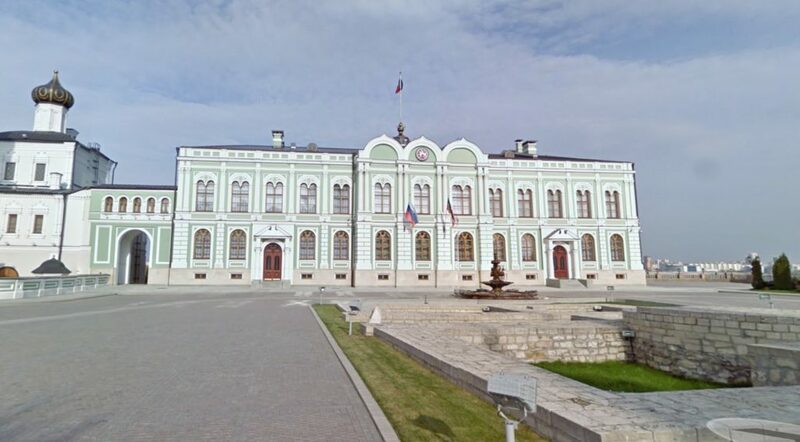 Finally, it is worth highlighting the Kazan presidential palace, which was built between 1845 and 1848, under the direction of Tsar Nicholas I, inside the Kremlin. It is based on the Great Kremlin Palace in Moscow. It is located in the same place where the Khan (maximum ruler) of the Kazan Khanate had his palace. It is currently the residence of the President of the Republic of Tatarstan, as well as government offices. 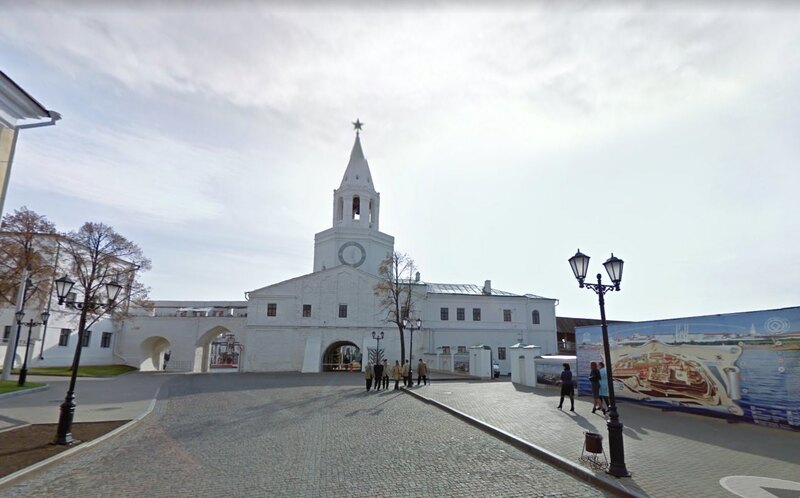 Lastly, there are several guided tours of the Kazan Kremlin, such as the guided tour of the GetYourGuide agency, which lasts an hour and a half. Have you visited the Kazan Kremlin?